The PML-N has decided to give election tickets to its former MPA Qamar-ul-Islam and former MNA Sardar Mumtaz Khan against Chaudhry Nisar, sources told SAMAA. Sardar Mumtaz Khan, an old party leader, has been given the ticket to contest election from NA-63 and Qamar-ul-Islam will contest election from NA-59, Nisar’s home-constituency. According to sources, the decision was taken in a meeting of PML-N parliamentary board in Lahore on Wednesday. Chaudhry Nisar has already submitted his nomination papers as independent candidate from NA-59 and NA-63. Mr. Islam, the chairman of Punjab Education Foundation, had submitted a request to PML-N parliamentary board for the the ticket to contest election against disgruntled party leader Chaudhry Nisar. 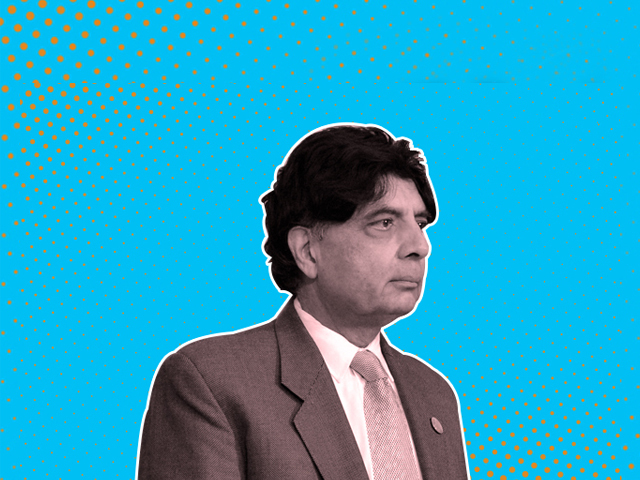 “Nobody would leave the party because of Chaudhry Nisar,” Mr. Islam told SAMAA in an interview on June 1. Sources said the PML-N has finalized its candidates for the elections. Nawaz Sharif and his daughter are leaving for London on June 14 to meet Kulsoom Nawaz. The names of other candidates would be sent to Nawaz Sharif in London and the final announcement would be made after PML-N Quaid’s endorsement.